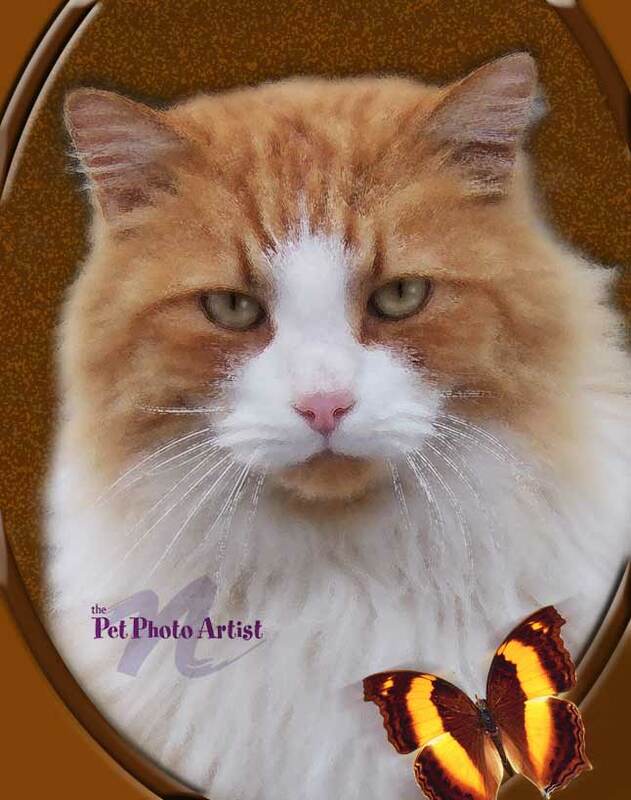 I love doing Cat Portraist. 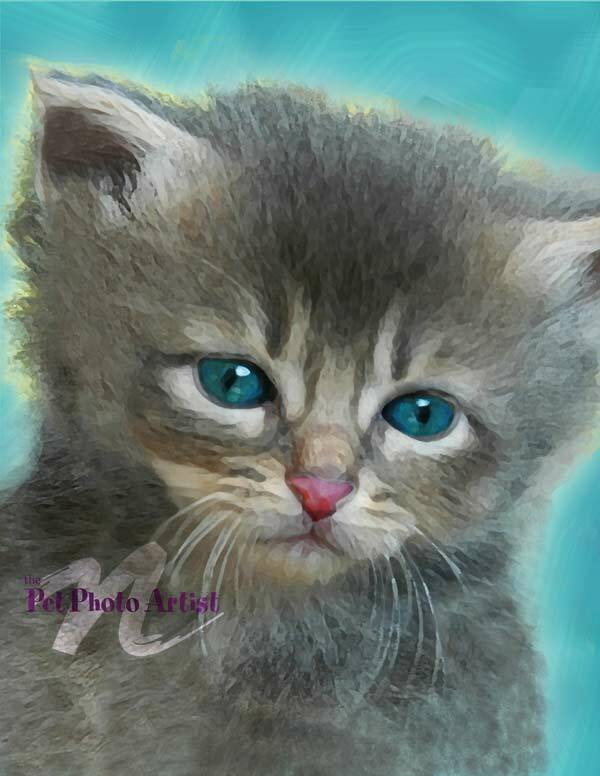 The digital paintings I create really catch their amazing beauty. 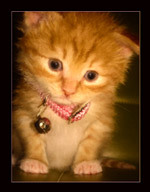 Some might say it's those feline expressions, but I'll go "out on a limb" and guess that it's mostly those cat eyes. 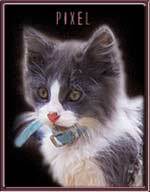 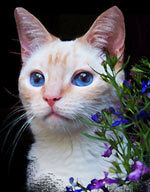 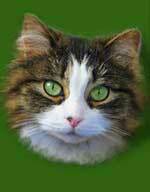 Nothing is more exquisite, varied in color and mesmerizing as the look of a cat's eyes. 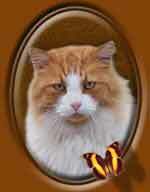 That's why I spend a good deal of time detailing the richness in all my cat art. You can get a much better idea of the brush detail when you look over my selection of traditional cat painting styles and click on the images to see a closeup view. 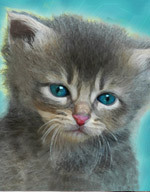 For a more funky and fun look, check out my Pop Art Cats and Funny Cats section. 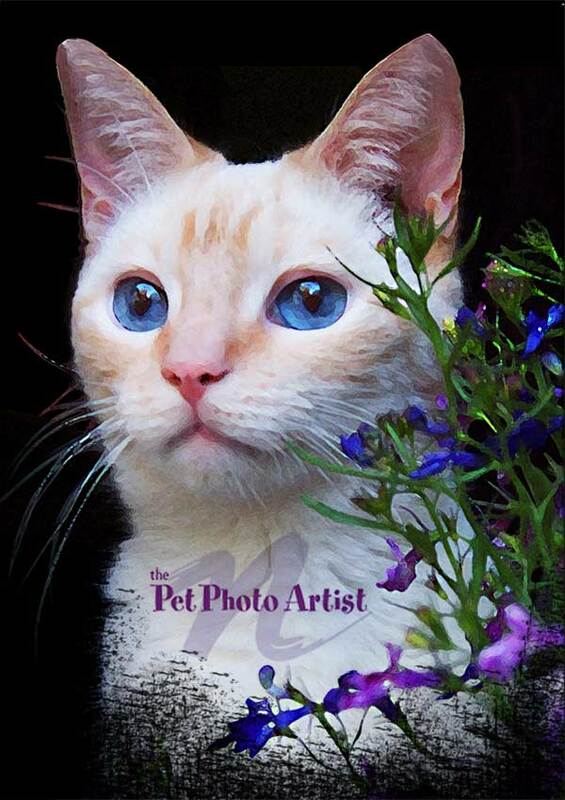 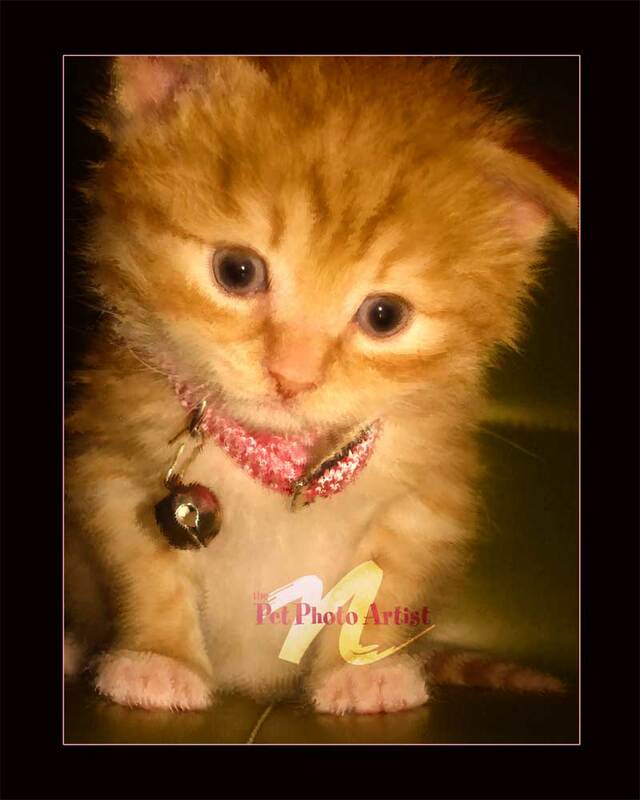 If you like a particular pet portrait style, reference the cat's name under the image when ordering - or - if you have a particular vision of how you want your cat portrait to look, mention it in the order form. 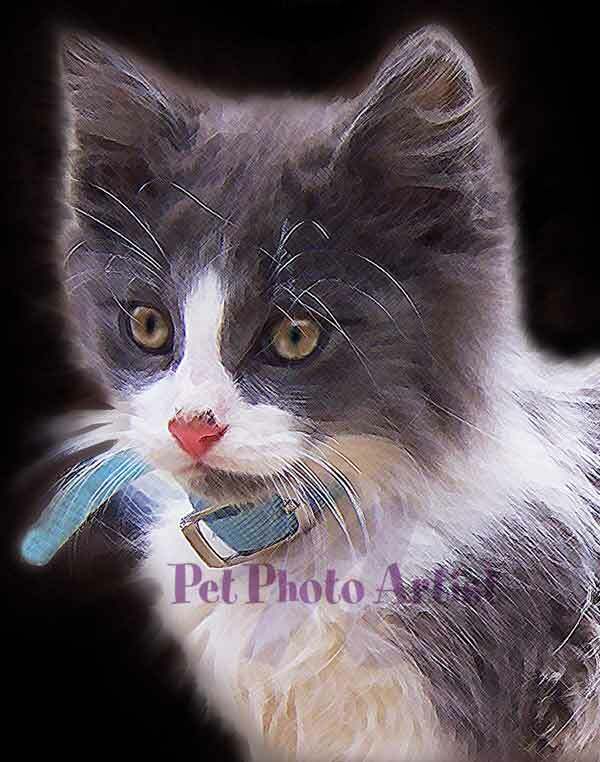 Always remember that creating pet portraits from photos demands that your photo beat the highest resolution possible.